Older homes in New Zealand are more likely to have a timber subfloor and in some cases timber piles. 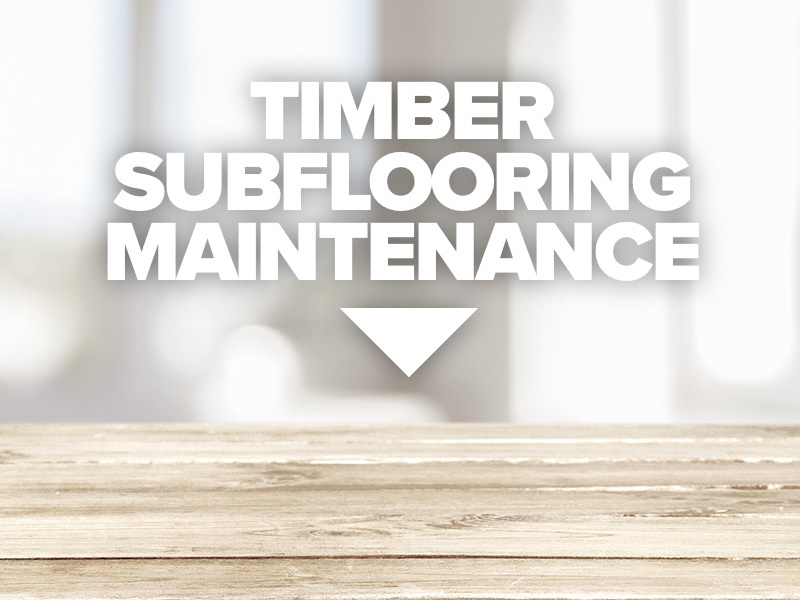 These subfloors require regular checks and maintenance to ensure they remain in good condition and to ensure the home remains safe and healthy. Common problems are dampness, rot , ventilation and structural issues. Damp subfloors in particular are a common issue in New Zealand houses. To check subfloor it is necessary to crawl right under the house taking a torch to examine the flooring, joists and bearers and piles. You can check for rot in timber piles by trying to push a screwdriver into the pile just under the ground- if the screwdriver easily enters the timber then the pile is rotten. If this is the case replace pile. Any other signs of rot in subfloor – remove rotten timber and replace. Ensure any sources of leaks or moisture are removed. Any damp ground or ponding water – check for source and rectify .It may be necessary to cover whole of subfloor ground with black plastic to stop rising damp from ground entering subfloor and interior of home. Any old rubbish or timber should be completely removed and ground raked clear before this is laid(this should be done even if plastic does not need to be laid). A worthwhile addition to plastic is insulation to underside of flooring between joists if not already fitted. To ensure subfloor remains dry good ventilation around perimeter of subfloor is required. In general a clear opening in the base of 100x35mm should be provided for every sqm of house , evenly spread around perimeter of subfloor at 1.8m maximum centres. While checking subfloor check for any corroded/ rusted fittings and replace where necessary. Borer is also a common problem in older homes in New Zealand – check for signs of dust coming out of tiny holes in the joists or bearers – if evidence of borer get the entire home assessed and treated by a specialist pest control company.Any structural issues identified/ suspected should be checked by a specialist foundation company or Licensed Building Practitioner for assessment and rectification methodology.